The world of Japanese idols has always been one shrouded in mystery to those outside of Japan. What are the lives of idols like? Is it a demanding job? What is the salary like? With the moderate success following Beckii Cruel’s rise as a Western idol with cult following, many more Western girls became hopeful in following their dreams of becoming J-pop idols. 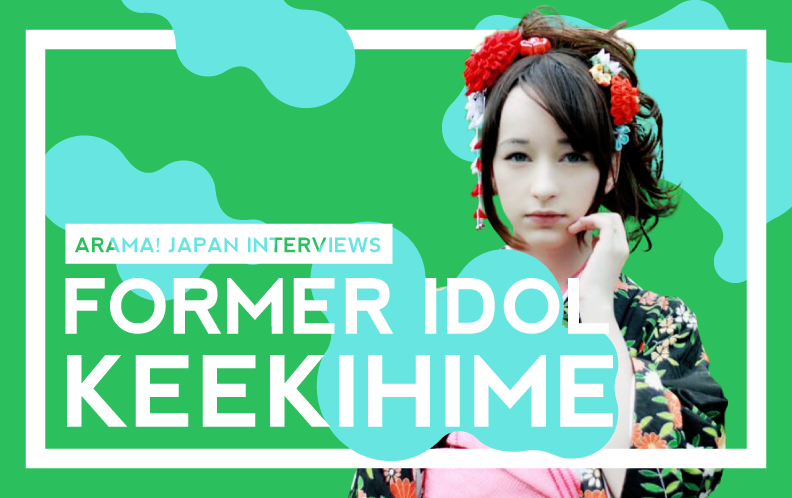 We caught up with retired idol keekihime, former member of idol group Tone Jewel, to ask her about her experiences and views about the idol industry as a Westerner. The stereotypes that people have of idols will be broken down and shocking truths are revealed. Also revealed is her key to success, how she improved her Japanese language ability, why she quit being an idol and more! I am keekihime, 19 years old and 100% Austrian. You probably don’t know me, but I was actually an idol in Japan for a while. I released 3 albums and 1 single and also worked with a bunch of independent circles. It all started when I was 15, I sent an application to the online audition for Victor Entertainment. They were interested and wanted to meet me. Back then I already had plans of going to Japan, so they invited me to their main building. I had an interview and we also recorded demo tapes because I didn’t have my own. During that time, I stayed in Japan for 3 months, and at the last day they called me and asked if I want to join an idol group with Japanese girls. I was super excited! They said they would invite me back to Japan in the winter of that year and we would record songs! First, I only recorded 2 independent songs for a Touhou Project Circle, but through this I met the first generation members of Tone Jewel, Kayama Riko and Sakura Kana. We started recording more songs together for our first album, learned lots of choreography and had lots of dance and singing lessons. This is how everything started! Currently, you are not an idol, right? Why did you leave your agency and what has been the hardest part about leaving your agency? Last years winter, the leader of our group, Sakura Kana, left the group because of family reasons. Me and second generation member Takimura Sana were planning to continue as Tone Jewel, and our management started taking applications for new members. However, during a small hiatus after Kana’s graduation, I was told by the Japanese immigration office, that I cannot perform in live houses anymore. Until this point, I got special permission because even though with an entertainment (singer) visa you are allowed to perform in general, you cannot perform in live houses. The reason for this is probably because of something that happened in the past so they made this stupid nonsense rule. The problem is, we performed almost daily, 1-3 live performances, and 90% of them were in live houses. If I could only perform a few times in a month, I felt like I wouldn’t be a real member anymore… I thought it would be better to leave the group and start working as a talent, not as an idol. Because of this decision, Takimura Sana also left the group. Now there are 3 research members in Tone jewel, but they are not official members yet. For half a year, I was working hard with my management to get jobs as a talent or model – anything, as long as it was solo. It was going well, but after that half year, all of a sudden my management came to me and said they couldn’t work with me anymore. Basically a Japanese hater of mine (that is pretty known in the foreign J-pop dancer community) decided to ruin my life. I’ll try to make this as short as possible: basically a Japanese hater of mine (that is pretty known in the foreign J-pop dancer community) decided to ruin my life. He tricked my agency and influenced them to fire me, successfully. Sounds ridiculous, but it’s true. This was really awful for me. My management and I were on really good terms for years but all of a sudden this happened. I tried to find a way to stay in Japan, but it wasn’t possible for me at this point. So I came back to Austria a few weeks ago. Looking at your Twitter, your Japanese is very impressive. How did you manage to get to this level of fluency? How essential was learning Japanese to your job? Before becoming an idol, I was doing live broadcasts on Nico Nico Douga almost daily. Back then I was pretty much the only foreigner who did broadcasts there, and I tried my best to speak Japanese. I started with simple phrases that anyone knows, like “Konnichiwa, Keekihime desu! Genki desuka?” I tried to read every comment and translate everything that I couldn’t understand. And for some reason, it was super easy for me to pick up! I think communication is really important for learning a language, and through broadcasting, I had a lot of that. I thought I was fluent before I came to Japan. But when I started working as an idol, I noticed it was definitely not enough. My Japanese was pretty casual, but I had to speak super polite to staff, there was so much more to learn. Also, many professional terms and gestures. Japanese people think its pretty cute when foreigners cannot speak perfect Japanese, for example with Beckii Cruel Leah Dizon (though Leah’s Japanese improved a lot over the years). For the fans its cute and charming, but for the staff and everyone else around you who has to work with you, it is NOT ENOUGH. It is definitely imperative to have a nearly native level of communication if you want to be successful. How would you describe your fanbase? How positive/negative would you say is the image that idols have of their own fans? Many people of my fanbase from my broadcasting days also supported me as an idol. In general they were very kind and quiet people, not your typical idol wotas. 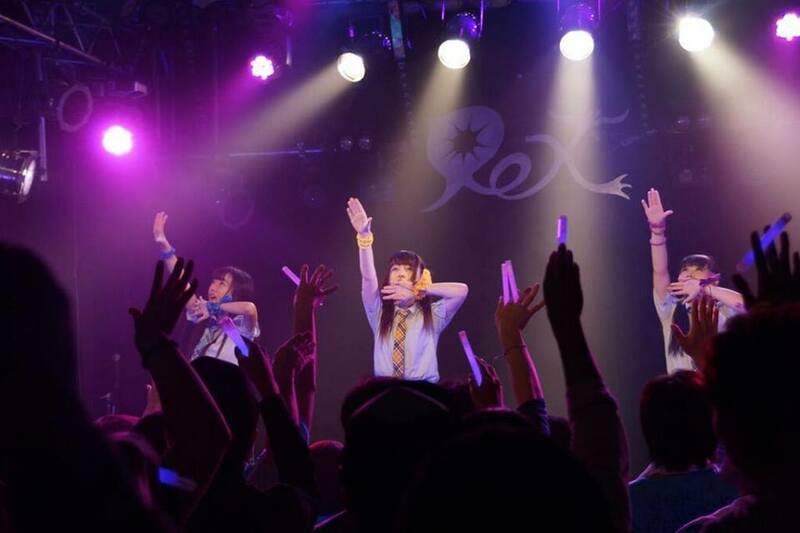 After performing as an idol for a while, I got some of those “usual” idol wotas who are very energetic. But in general, my fans are pretty quiet, shy and kind. Their ages ranged from 15 to 40 years old, but most of them were in their 20s and 30s and male. Most of my live performances as an idol were with other idols. For one event, you would have like 10 other groups performing. So, I got to talk to many many idols and see how they interact and talk with and about their fans. I can honestly say, they just really respect and care for their fans. Its really positive. Rumors of Mizuhara Kiko and G-Dragon’s Relationship Resurface What Scandals have Shocked Japanese Netizens the Most?